Should You Sanitize Your HVAC System This Winter? Everyone knows that HVAC systems require regular maintenance in order to run smoothly and avoid expensive repairs. However, a regular cleanup of your HVAC system is just as important. During the summer, various contaminants, such as dust mite feces, pet dander, or mould, accumulate in the HVAC vents. When autumn comes around and your furnace turns back on, all this detritus is blown into your living space where your family breathes it in — yuck! Fortunately, there’s an easy way to rid your home of the dander and bug poop: sanitizing your HVAC system. Your HVAC system is constantly blowing air throughout your house, which means that if there is any residue in your vents, it will be dispersed everywhere. One of the most common signs of this problem is noticing layers of dust gathering on your furniture even though you’ve just cleaned! Other signs of filthy vents include dark, dirty lines around open vents or around light coloured upholstery and carpet, unpleasant odours in the air, or even itchy eyes and other allergy symptoms. Sanitizing your HVAC system doesn’t just mean you have to clean less often; it also means your family can breathe easier and suffer fewer sniffles. We’re certain that even if you’re the biggest fan hanging out at home, you won’t be able to help cheering on the idea of fewer sick days! Another downside to having dirty air ducts is that all that dust can clog up your entire HVAC system. Your HVAC will have to work harder for the air to flow throughout your house, which places unnecessary strain on the motor and the fans, which can lead to premature breakdowns. In the long run, leaving your vents dirty will cost you more than having them annually cleaned, as you’ll have to dish out for replacement parts and more frequent repairs. By having your HVAC system regularly cleaned, especially before winter when your system will be working at its hardest, the average Canadians sees net-positive savings. A lot of furniture produces lint. These tiny balls of fluff float around your home until they settle in the ducts of the HVAC systems. Your clothes dryer, curtains, carpets, and more also produce a ton of fuzz, and while the lint filter in your furnace and dryer will catch some of the fluff, whatever excess there is accumulates in the air ducts. Over time this will reduce the airflow, so your furnace will need to work harder and at a higher temperature to keep your home warm. This becomes dangerous, as the lint can overheat and ignite a fire within the ducts. As the ducts blow air everywhere, they can also blow fire and cause catastrophe in minutes. 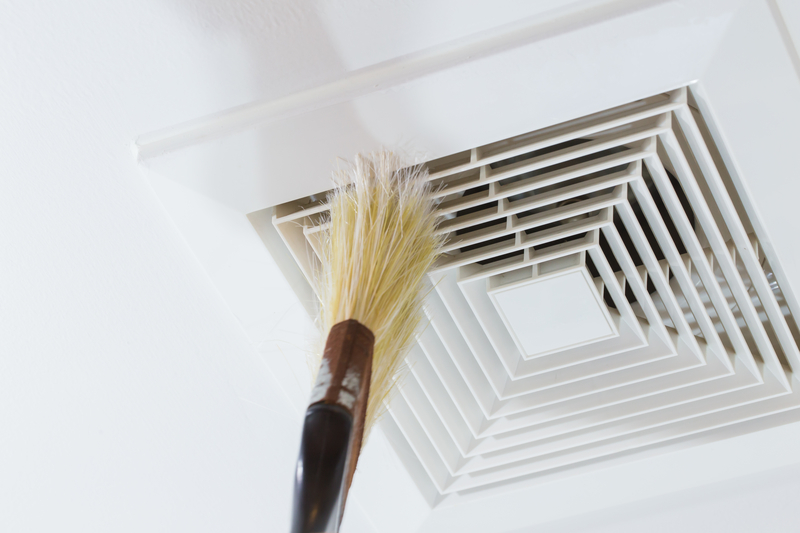 Having your air ducts cleaned regularly will remove all the lint and detritus from your HVAC system. There won’t be any mess causing your furnace to overwork, and there will be nothing to ignite within the ducts; this greatly reduces your risk of HVAC-caused fires. Having your HVAC system sanitized for winter will mean the comfort of a clean home, extending the life of your furnace, and most important, keeping your home safe from fires started by lint overheating in the air ducts. Help everyone in your family breathe easier by having the experts of Fresh Air Furnace Services clean your HVAC system today. Call us at 403-452-9528 to get started! Please use this form if you have any questions about our services and we’ll get back with you very soon. At Fresh Air Furnace Services, we’re raising awareness about good Air Culture, because it’s not just about cleaning your vents. Good Air Culture means maintaining optimal humidity levels, minimizing airborne bacteria, and keeping your HVAC system in good working order.